Some people try to stay tall by knocking other people down. Narcissists devalue their victims purposefully, seeking to make them feel worthless with the sole intent of control. The incessant mind games of the narcissist usually leaves victims psychologically affected. 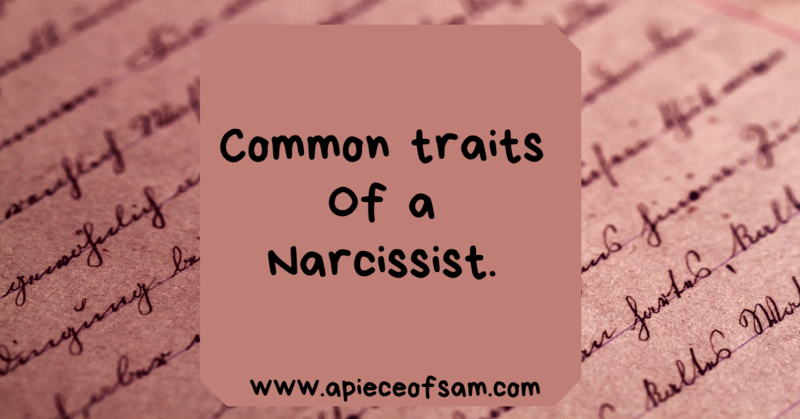 Keep reading to find out the common traits of a narcissist. The Mayo Clinic defines narcissism as “a mental disorder in which people have an inflated sense of their own importance and a deep need for admiration.” People who are narcissistic believe that they are superior to others and have little regards for other people’s feeling. But behind the mask of ultra-confidence, lies a fragile self-esteem, vulnerable to the slightest criticism. Being in a relationship with a narcissist only makes you a pawn in sustaining their superficial and conceited self-image. I have survived a narcissist and I’m creating this awareness because I know a lot of people who are facing the same challenges. Holds other people responsible for things in their life that is their sole responsibility: This is one of the most telling signs of a narcissist. They can never take responsibility for their actions or inactions. Because of their narcissistic nature, they don’t think they can make mistakes but it’s just fine to blame their mistakes on other people. “You made me do it” is a typical saying of a narcissist. Very insecure and accusatory: Narcissists are very insecure people in relationships. They build up baseless accusations and try to blame their partners. This is just another trick up their sick minds to tear someone else down. I have witnessed how talking to my girlfriend is a problem. Talking to my friends was my escape but it would cause countless bursts of rage between the narcissist and I. It is ridiculous! He was even jealous of inanimate objects. I remember buying a purse I loved so much and I was happy about it. He became jealous of the attention I paid to my purse…preposterous! Gets hurt or upset all the time: A narcissist gets upset at the slightest chance possible. I know what it feels like living with a narcissist because I have experienced it firsthand. It is extremely difficult walking on eggshells for a long time because my partner was a ticking bomb waiting to explode. On many occasions, I have been asked what would trigger a narcissist to get upset and my answer is always “NOTHING.” They do not need a reason to be mad. They keep shifting the goalpost of their expectancies. Nothing makes them happy and nothing makes them sad. Get upset because people have different ideas or opinions: Narcissist thinks that they have superior reasoning to everybody else. They think they know more than everybody else. Arguing with a narcissist is hectic, whatever views you express would be countered and they always insist on you buying into their opinion because they think their opinion is superior. They are too dumb to realize that it is ok for people to have different views on a particular subject matter. Claim to know more even on subjects they are clueless about: It is very fascinating to me how a narcissist thinks they know it all. They can never admit that they have no knowledge on a particular subject matter, But they go ahead to argue on topics they are clueless and would even insist that you must agree with them. Expect People to change: Change could be a good thing if you are giving up bad habits or making changes to be a better person. A narcissist expects to change people to suit their personal fantasy. Their crooked minds have made up how their ideal partner should be forgetting that you had an identity before they met you. Feel bad when other people are happy: A narcissist cannot stand seeing other people happy. A narcissist thinks you should build your world around them and they should be the center of all attraction. It is unacceptable for their victims to be happy. They have to be in control of everything including their partner’s happiness. Continuous criticizing: Do you imagine what it would feel like to be constantly critiqued? There is nothing that could be done right in the eyes of a narcissist. They try to break and bring you down by constantly making you feel that you can do nothing right. It is better imagined because, for people with feeble minds, this could actually affect their self-confidence and self-esteem. There are chances that a narcissist can change. For a narcissist to change, they need to first accept the fact that they are doing something wrong( good luck with that). They must be willing to give up the charade of falsehood and try to become better people. There are a lot of people in relationships like this and my word for you today love yourself so much, to do the right thing for yourself.